Hear the word “Israel” and images of stabbings and attacks on innocent lives immediately come to mind during these trying times. Jews all over the world are concerned with how their friends, relatives and even people they have not met in Israel are coping. It is amidst “the recent wave of violence,” as it is being called, that we can learn the power of leadership and community bonds which transcends physical boundaries – and all through sports. 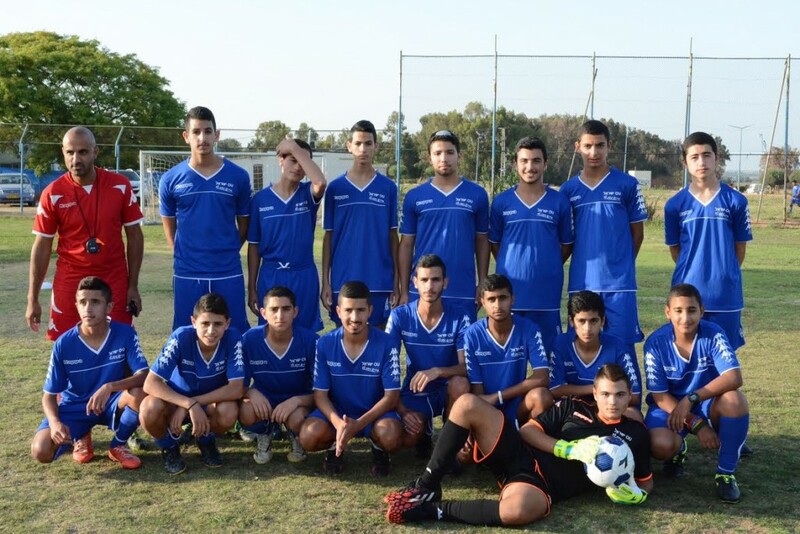 Last year, in the aftermath of Operation Protective Edge, OU Israel’s Makom Balev Youth Center in Sderot started a soccer team in order to provide a positive outlet for the kids in Sderot to channel their energies and relieve some of the stress which accompanies living in a neighborhood facing sirens and rockets on an ongoing basis. In addition to practices and games, the coach and players place a heavy emphasis on team building, working with others and improving self-confidence. Though the benefits of the Soccer Initiative are tremendous, it was necessary to find funding to for this new initiative. 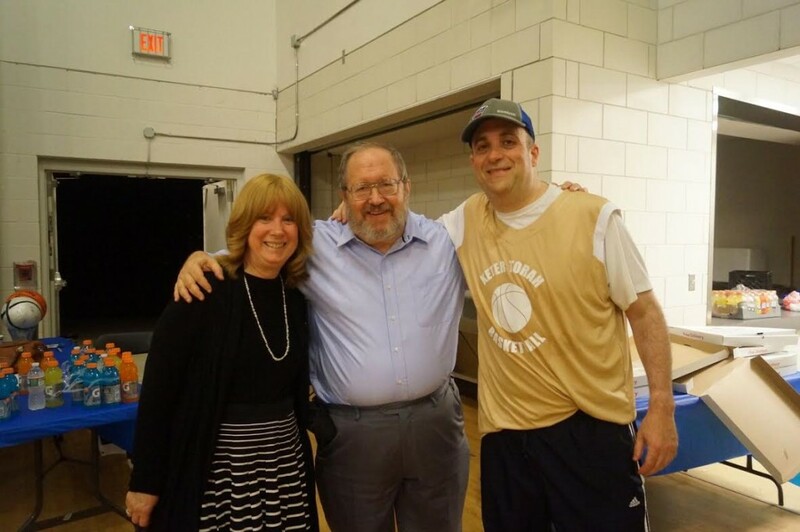 Rabbi Shalom Baum and Congregation Keter Torah in Teaneck, NJ rose to the challenge, and this past summer they held their second annual 3-on-3 basketball tournament to raise funds for the soccer team. Now that Israelis are once again being attacked, the vital role of this team is once again seen as the youth can ‘escape’ into the game and focus their energies on something positive. 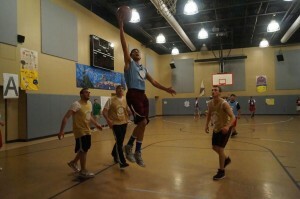 The tournament brought together 17 teams comprised of 51 players ages 17-50s, and many more people who did not play donated tow ards this cause. Special thanks to tournament sponsors Barbara and Joe Rotenberg and to the Lazy Bean Cafe of Teaneck for providing drinks. 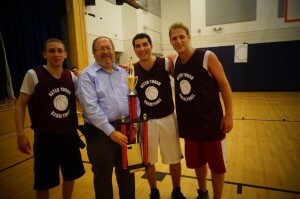 This year’s winning team was Stein, Lubat and Davidoff. “I am grateful to everyone who donated this afternoon activity, that provided the new shoes, uniforms, gloves, shields, everything – it warms the heart,” said team member Aviv Yehudai. In addition, Rabbi Berman took Rabbi Baum and Dovid to meet with Alon Davidi, Mayor of Sderot, about the Soccer Initiative and to discuss life in Sderot. This further united the two communities and will hopefully lead to a stronger relationship whereby Jews are able to connect to fellow Jews halfway around the world. What does the future of this program hold? “In the future we plan to create more teams and tournaments and hope to invite famous Israeli soccer stars to participate and play with our boys,” said Chaim Pelzner, OU Israel Program Director. OU Israel has Youth Centers in 23 communities. After seeing the success of the Soccer Initiative in Sderot, we started a team in Akko as well, but we have more centers to reach.